Forty years ago, Moyra F. Allen founded Nursing Papers to fill a gap in the academic literature. Now called the Canadian Journal of Nursing Research, and edited by Laurie Gottlieb, the journal is a widely indexed resource. In 1969, nursing research in Canada was so young that it didn’t have its own scholarly journal. Moyra F. Allen, director of the graduate program at McGill’s School of Nursing, took issue with this omission—so she filled the gap with the first in what would become an erratically published, yet trailblazing, series of slim volumes called Nursing Papers. Allen retired in 1984 and her pet project fell to new editor Mary Ellen-Jeans, who changed the name to the Canadian Journal of Nursing Research and introduced a peer-review process. By 1992, the CJNR was flagging, but McGill nursing professor Laurie Gottlieb recognized the importance of keeping the groundbreaking journal alive. “You want to base practice on the best evidence,” she explains. “A research journal plays an important role: to provide that best evidence, to provide guidelines for best practice.” Gottlieb stepped in as editor-in-chief. Gottlieb’s initial challenge was figuring out “how to remain a general research journal while focusing on emerging areas. Rather than choose one approach over the other, I decided to combine the two by giving each issue a focus topic with a guest editor.” Theme issues have tackled topics such as loss and bereavement, home care, gerontology and chronic illness management. The Canadian Journal of Nursing Research receives funding from the Social Sciences and Humanities Research Council. 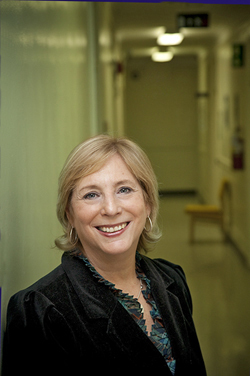 Laurie Gottlieb is the Flora Madeline Shaw Chair in Nursing at McGill, and the 2009 recipient of the Order of Merit from the Ordre des infirmières et infirmiers du Québec.